You are in:Cover page»Technology»¿Robots will replace employees of restaurants? 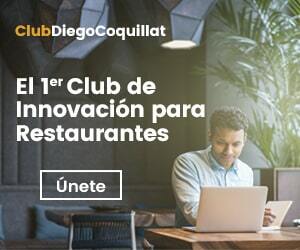 ¿Robots will replace employees of restaurants? Until recently discussions about what future awaits restorers They were matter of a few soothsayers and futurists who warned, sometimes with a vehemence that bordered on the maniacal, about the harmful consequences of unbridled automation on society as a whole. He said heat was sometimes seen as symptomatic of a lack of credibility of the background. But things are changing lately. The restaurant Spyce has opened a group of students from MIT and is in the process of expansion has been the excuse was needed this time to put back on the table the debate. The problem is that cooked dishes are indistinguishable from those that would have created the best chef. In fact, Award-winning chef Michelin star, Daniel Boulud, He was involved in creating menus, but now his expertise and expertise are no longer necessary because all processes have been deconstructed and reconstructed in the form of software interpretable by robots. Regardless of the complexity. This is a giant step in the field of robotics, well previous models were specialized in executing a single task; not cook, saute, fry, Mix, season, decorate, present, serve… And this is, clearly, normally concern for professionals involved in these tasks. How affected workers in the catering and hospitality industry when generalizing the use of robotics in establishments? Will you continue the current course and there will be a breaking point? What can be learned from other industries? Y, definitely, Is the impact will be positive or negative? The pros linked to the proliferation of robotics are plentiful. Although it is likely that there groups that benefit most from new technologies, generally interested persons should receive some improvement in their situation. Better care by staff. Automatable tasks to be left in the hands of robots, Restaurant managers or waiters can spend earned improve user experience local. Reduced waiting time. Many customers are still reluctant to replacement of human labor by robots. It is a kind of anachronistic social responsibility. So Hollywood blockbuster has made us beings especially susceptible to these machines, and sometimes we feel like true damsels in distress when we report that this or that work has been assigned to automata. Everything changes when it arises clearly that one of the consequences of automation robotics is based reducing waiting times at least two minutes on average. then a 64% of them would welcome. What motives drive the implementation of new robotics solutions by restorers? Potentiation Profile online. Consequence of the higher level of satisfaction of clients treated in the previous section. A happy customer is a customer more likely to leave a positive review in one of the many pages that exist on the Internet for it. This increases business visibility on the network and revalues ​​its corporate image and brand name. Finally, This leads to an increase in turnover and net profit. Reduction heading dedicated to wages. It's no secret that Kitchen workers are those who are in a more vulnerable position. But besides power chefs and pinches without, partially complete, as well They will be reduced working hours to be devoted professionals with the public. Expressly, It can significantly reduce the time spent on tasks related to economic transactions (ticket issue, payment, turns back and accounting). Of course, It is not the only possible optimization. Any repetitive process is executed today by staff, It is likely to be done by a machine tomorrow. Increasing the speed at which the processes are completed. The main enemy which began revolution of robotics It is fatigue and its negative impact on the performance of human workers (and therefore the benefits). One of the consequences of automation is restorers minimizing the time spent on a task objective. Simple math, If a robot takes five times less to complete a task compared to a person with no discernible loss of quality, That means it can service a volume five times more customers. Elimination of human errors and inefficiencies. Broken plates, vessels that have not been through the dishwasher, undercooked meat, Seasoned ... menus with double errors that take place in a restaurant after a day in the tens. This affects the experience enjoyed by customers (or suffers, according to the case). Robots are not affected by such setbacks and thus the benefits of the establishment does not call into question in any moment, homogeneity in the service remains regardless of external factors and the loss is material are maintained in absolute minimum. Although we could keep adding points, to turn this article into a kind of bible, Does this mean that the premise with which we opened this section is true? No. Although the social benefit is unquestioned, on the way many people will stay. We would not reach much. Throughout history there have been many episodes in which some technological revolution has created social chaos. And yet here we are. Something that characterizes our species in our unmeasurable adaptability. further, no evil that lasts a thousand years. In the Thirties, John Maynard Keynes He is coining a phrase that has accompanied many scholars since, «technological unemployment […] it is only a temporary state of imbalance». Although the current consensus among scholars is that this loss of jobs does not last long term, there is always who tries to refute the argument. Two notable cases are the books of Marshall Brain and Martin Ford, respectively Robotic Nation Y The Lights in the Tunnel: Automation, Accelerating Technology and the Economy of the Future. The main difference in our age compared to previous cases is that job losses affecting workers with high training. And the novelty frightens. It is therefore important not to forget at any time unfortunately those who will be affected by the mess that robotics is about to introduce into society. Some of the remedial measures to be shuffled in the XXI century are strict regularization robotics, the subsidies by technological unemployment, exploring the feasibility of universal basic income and insertion minimum income applicable in the cases studied here, the reduction in days of work, the public ownership of robotics O, an even more distant future, the host own structural changes in a society posescasez. In any case, as we have tried on more than one occasion in the newspaper, readers devoted to camaraderie, attending boxed or dealing directly with customers can escape being affected by our "sworn enemies", the robots, using your critical thinking, social skills and tact. All qualities highly valued by customers and restaurateurs, because in an era of dehumanization, effort appreciated by providing warmth. An active sometimes goes unnoticed, but it should never be underestimated.